My clients are modest and quite uncomfortable about celebrating their successes. But, of late, some have started deliberately to focus part of their weekly check-in reports on including an element about celebrating achievements, counting up precisely how much work has been done and how far they’ve come before rushing onwards and ever onwards to fix what’s perceived still to be wrong. It’s always been like this when it comes to celebrating successes; clients don’t like it. We are forward focused and desperate to get “there”, to that place of nirvana where everything is ship-shape and Bristol fashion, to a place where we can relax and exhale in relief. It isn’t that we don’t take time to enjoy the journey, many of us are doing that alright. It’s that we are uncomfortable patting ourselves on the back and rewarding ourselves, even with the praise or the compliments of others, let alone our own treats and rewards. And yet this deliberate and kindly evaluation is a good thing to do. Because if we know what we have done well and what we have enjoyed doing to create those results, then doing more of that type of work would make perfect sense. Celebrating success is a good way of stopping to smell the roses and appreciating ourselves as a hard worker, or a creative genius, or much more diligent than we had previously given ourselves credit for because we have simply glossed over that bit out of modesty or impatience to get on. And it offers the opportunity of relishing our wonderful life whilst, at the same time, building a business. When my clients do take the time to list all the work they have done, they amaze themselves and they remind us all how far they’ve come. The result is increased self-esteem and a nurturing platform from which to grow as business people and real human beings. In reflective moments we are all agreed that’s one of the best reasons for undertaking any journey, including life – for the person we become along the way. So next time you are feeling a bit low or frustrated, take some time out to evaluate. Write down all the things you have had to do and learn and become and master in order to get to where you are today in your business. 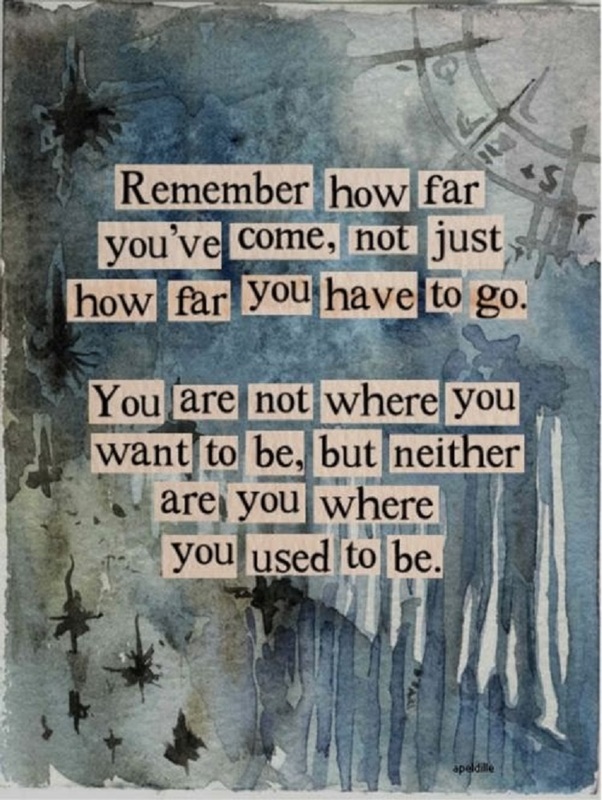 Ignore (just for now) the stepping stones ahead and appreciate yourself for how far you’ve come. OK, you might not be “there” yet, but you are long way from where you’ve started and you have reason to be happy. If that reason isn’t top of mind, go looking for it. It’s not buried very deep, you are just not yet into the habit of looking for, finding and then celebrating your successes. Top Tip: Find something to congratulate yourself for every day, however small. Don’t worry, you’re not going to turn into a Big Head overnight…we’ll let you know if you do!